Q pulls a 50mm Division Furtive Type 46 out of a large black watch box. “Yes I can see that” answers Bond, trying to slip the mighty 50mm watch under the double cuff of his Jermyn Street tailored shirt. 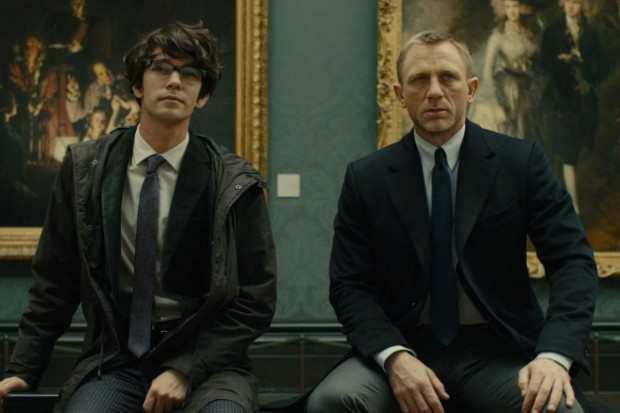 You might think this is a scene from the latest James Bond film Skyfall, but in fact it’s not. If Gabriel Menard has his way it will be stone cold reality. He plans to build two linear watches which really are corrected by the light emitted by your mobile or computer. They don’t tell the time in the conventional analogue or digital way, they are completely linear. As you hold your watch at a 45 degree angle the watch indicates the hours and the minutes via horizontally moving cursors. To get to the point where Gabriel can realise these two undoubtedly different watches he is going to need money. Your money. And to make things easy for you he has started a Kickstarter campaign whereby you can invest as little as £5 to help him along the way, or as much as £1000 and have dinner with him in the restaurant of your choice, - that’s provided your choice is in Gabriel’s home town of Montreal. 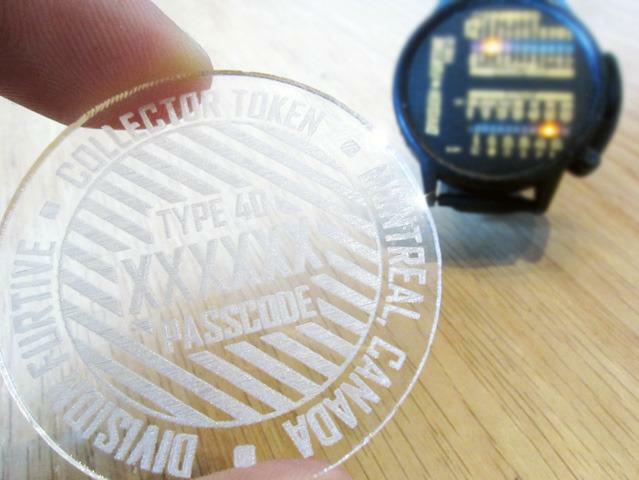 There are all kinds of incentives to encourage you to invest more from key rings to tee shirts to laser printed transparent tokens. Of the two watches, Type 46 is the more mechanically demanding. It’s a dual linear electromechanical watch, built entirely from scratch, and will be limited to just 46 pieces. 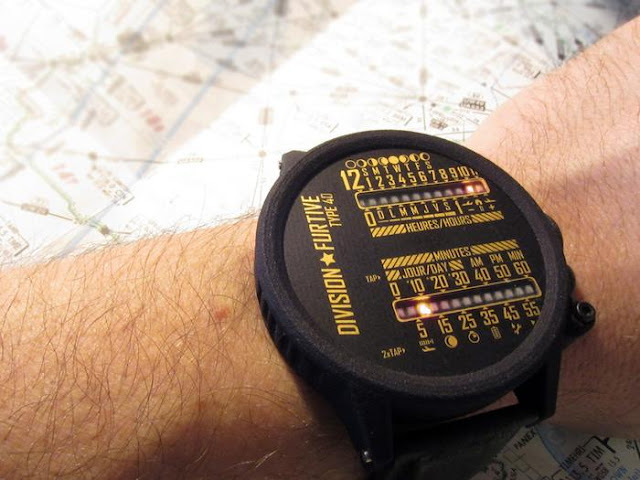 The watch can be programmed via any up to date iPhone/Android/Blackberry/LCD makes and models. The type 40 (also described as the watch a secret agent should wear when fighting villains on the top of a speeding truck while avoiding overpasses) – is the watch that will be made first with an initial production run of 1000 pieces. 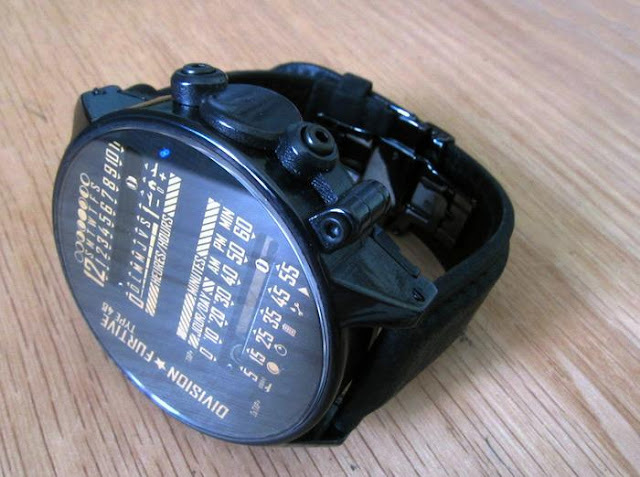 This is a cheaper watch to produce as it has an epoxy filled casing rather than the metal casing of the Type 46. The mechanical cursors are replaced by bright amber LEDs. The epoxy helps make for an incredibly durable watch with a nice weighty feel. The watch is similar to the Type 46 except it must be set by phone or computer, whereas with the Type 46 it’s optional. Without finding funding for Type 40, Furtive Division cannot proceed to develop Type 46. Just like the Ministry of Defence, Gabriel has a budget deficit. To bring this advanced electronic/mechanical watch project to reality will require funding. If you think it’s a cause not exactly worth dying for, but at least paying for, visit his Kickstarter campaign site for all the details of how you can get involved. Division Furtive (french for Stealth Division) is the brainchild of designer Gabriel Ménard and project manager Paolo Gatto. Division Furtive collaborates with many other people and corporations, who provide parts, services and advice to materialize its creations. Gabriel holds a bachelor’s degree in microelectronics and master's degree in image processing from McGill University in Montreal, Canada. Since 2003, he has been working as an engineer in the microelectronics (semiconductor designer) and electronics (circuit board designer) industry (Analog Devices, Best Buy, Vizio, Onkyo and Audyssey). Keen to develop something people will recognise as his own, Gabriel chose watches, as there is openness to innovation in this area and the industry is all geared up to producing extremely limited quantities of high quality product. The logistical non-watch-making side of Division Furtive is handled by Paolo, who holds a bachelor's degree in computer engineering from McGill University in Montreal, Canada and a master's degree in advanced computing from Imperial College London in London, UK. Paolo has been working for prestigious automotive companies such as Ferrari in Italy and McLaren in the United Kingdom.